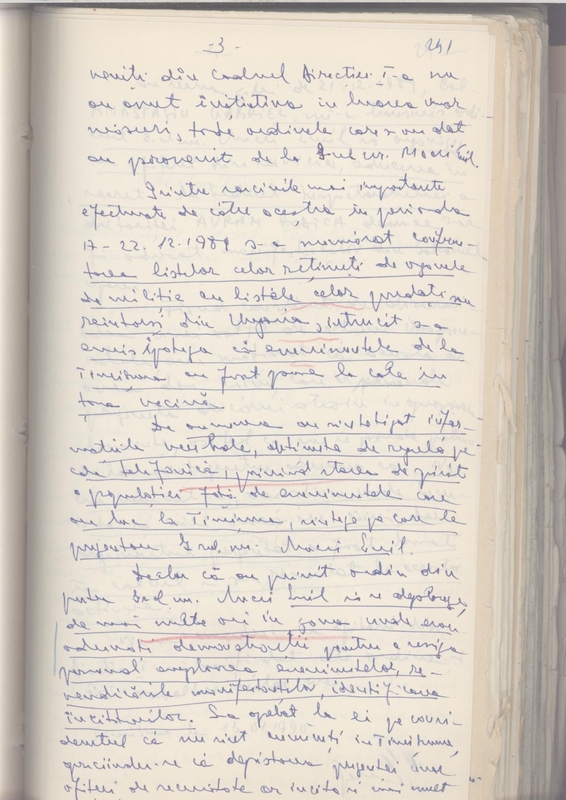 In episode 4 of the 10 episode TVR series “Mostenirea Clandestina,” the claim about the alleged role of “Soviet tourists” in the overthrow of the communist regime of Nicolae Ceausescu is made by Cristian Troncota, from about 46:10 to 46:60 and from 47:05 to 49:50. It is relevant and worth noting here that whether in this series on TVR or in the Romanian media (for example with Grigore Cartianu in Adevarul), Cristian Troncota’s past is never mentioned. 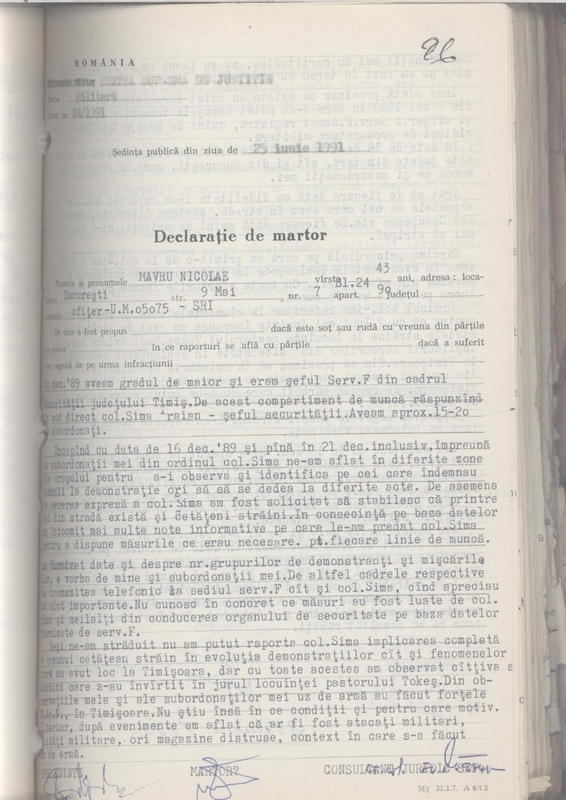 Thanks to CNSAS’s posting of copies of the Securitate’s “strict secret” trade journal, we now know that Troncota was a Lieutenant Major in the Securitate: see the index here from a 1987 issue of the Securitate‘s (page 4 of 46 on the pdf) with a historical article by Troncota beginning on page 78: http://www.cnsas.ro/documente/periodicul_securitatea/Securitatea%201987-4-80.pdf (vol. 80 from 1987). 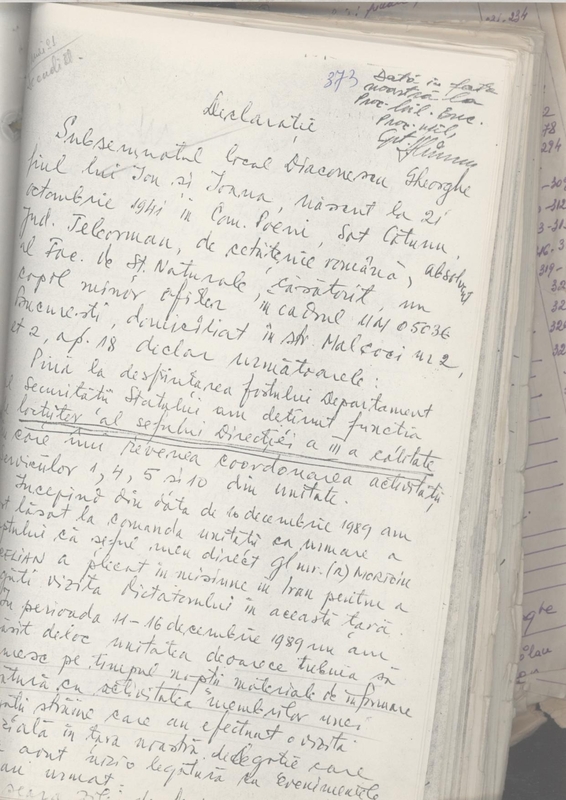 Multiple primary source documents from the Timisoara files of the Revolution demonstrate that Securitate officers at the time and in the immediate aftermath found no evidence that would substantiate claims such as those of Watts. Although at first glance the regime’s treatment of Pastor Tokes seems strange and even illogical, within the context of the workings of the Ceausescu regime and the regime’s strategy for dealing with dissent it makes perfect sense. There is simply no convincing evidence to believe that the Securitate–or a faction within it–purposely dragged its feet in enforcing Pastor Tokes’ eviction, or was attempting to spark a demonstration in the hopes of precipitating Ceausescu’s fall. The regime’s decision to evict Tokes was not a last-minute decision. Moreover, the regime exerted tremendous and sometimes brutal pressure to silence Tokes in the months preceding this deadline. Interestingly, according to high-ranking members of the former Securitate, Nicolae Ceausescu’s unwillingness to approve the more definitive measures requested by the Securitate allowed the Tokes case to drag on without resolution (see below). The Tokes case suggests the bureaucratic and byzantine mentalities of the Ceausescu regime, and the clash between a dictator’s instructions and how the institutions charged with defending him interpret their mission. … The suggestion that the Securitate treated Tokes gently prior to his eviction is simply incorrect. On 2 November 1989, four masked men burst through the locked doors of the parochial residence, wielding knives and screaming in a fury. Tokes was slashed on the forehead before his church bodyguards could come to his rescue, causing the four to flee. The numerous Securitate men posted out front of the building had done nothing to intervene in spite of calls for help. Puspoki suggests that these “Mafia-like thugs,” who attacked as if from “an Incan tribe,” were some of Colonel Sima’s “gorillas,” sent to deliver a clear message to Tokes that he should leave immediately. The view of the former Securitate–as expounded by Colonel Sima’s senior deputy, Major Radu Tinu–insinuates a “tourist”-like scenario. According to Tinu, the incident was clearly a “set-up” designed to draw sympathy to Tokes’ cause since the assailants fled away in a car with West German tags. Not for the last time, the Securitate thus appears to attempt to attribute its own actions to foreign agents. A week after the mysterious attack by the masked intruders, all of the windows of the parochial residence and nearby buildings were smashed. 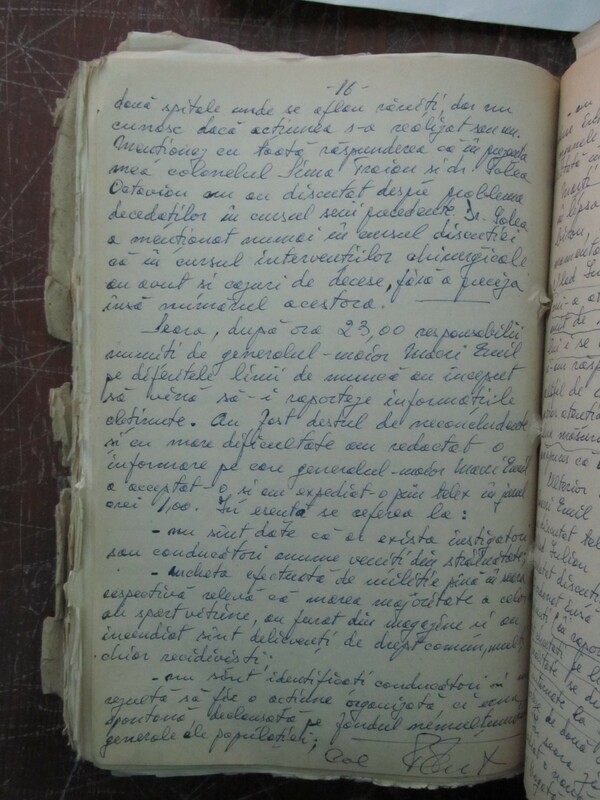 Interestingly, the report drawn up for Bucharest by the Timisoara Securitate attempted to argue that “workers” from the Timisoara Mechanical Enterprise, offended by pastor Tokes’ behavior, had broken the windows. 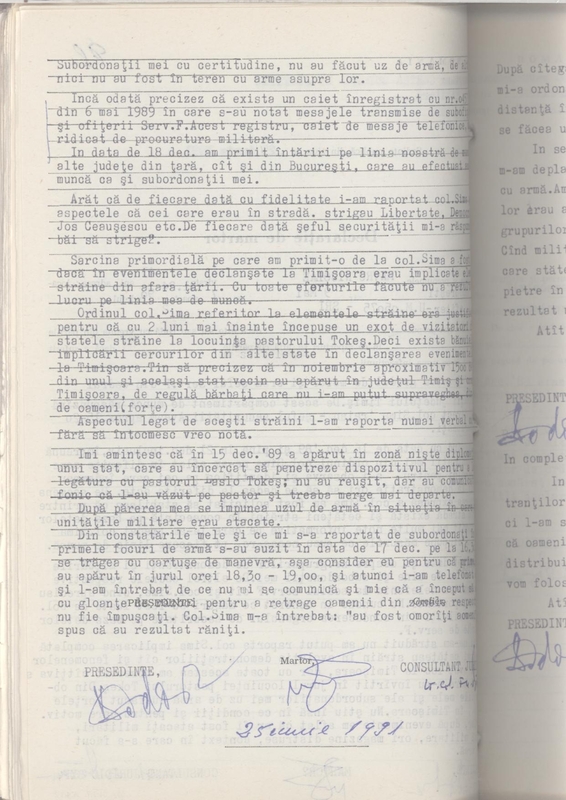 According to Puspoki, the use of a propaganda-like description was not accidental: the local Securitate was trying to present the incident as evidence of “the dissatisfaction of the working people of Timisoara” in the hope that it would finally prompt Ceausescu into approving definitive measures against Tokes. Was Ceausescu responsible for the fact that the Tokes case dragged on without resolution? Support for such a conclusion comes from the comments of Securitate officers Colonel Filip Teodorescu and Major Radu Tinu. 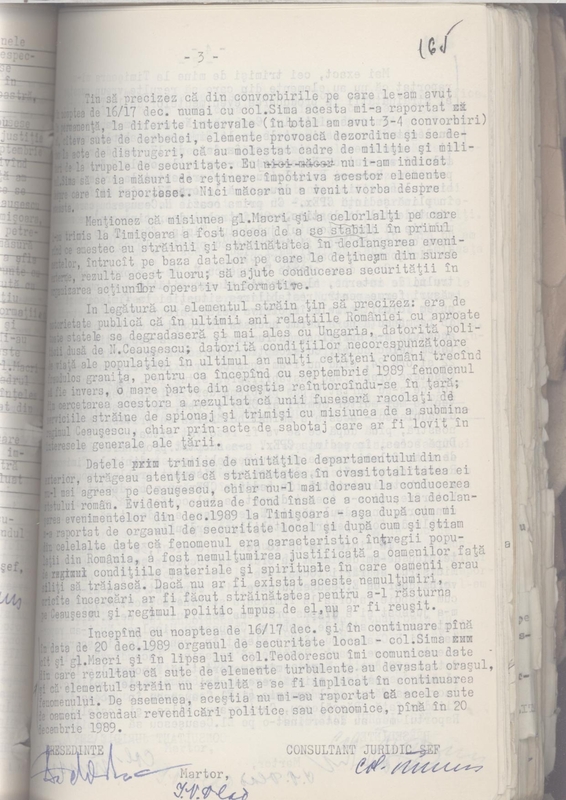 Teodorescu was dispatched to Timisoara with sixty other Securitate information officers in order to “verify” the request of the local Securitate that proceedings for treason be initiated against Tokes. Teodorescu laments: Unfortunately, as in other situations…Nicolae Ceausescu did not agree because he didn’t want to further muddy relations with Hungary. Moreover, groundlessly, he hoped to avoid the criticisms of “Western democracies” by taking administrative measures against the pastor through the Reformed Church to which [Tokes] belonged. 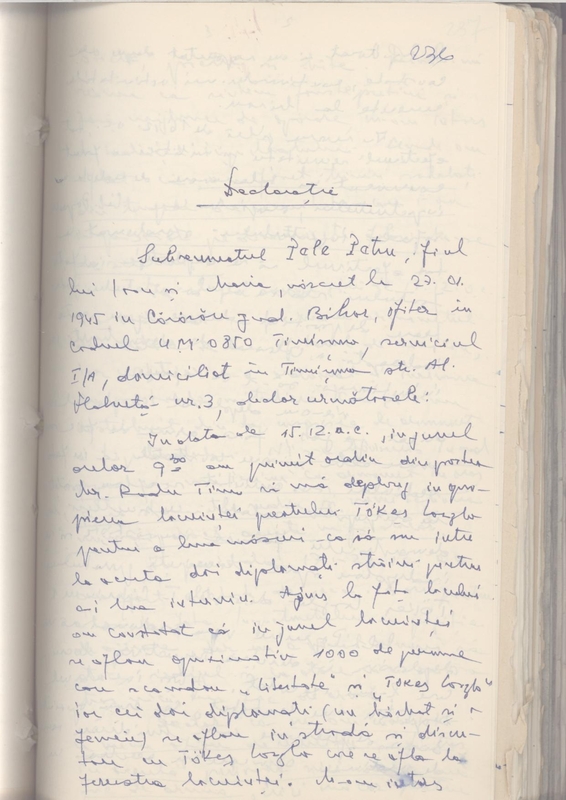 Major Radu Tinu suggests that Ceausescu’s approval was necessary in the case of Securitate arrests and that the local Securitate remained “stupefied” that after having worked so long and hard in gathering information with which to charge Tokes with the crime of treason, Ceausescu rejected the request. Tinu speculates that Ceausescu “did not want to create problems at the international level.” Because former Securitate officers rarely pass up the opportunity to absolve themselves of blame, and it would appear both easier and more advantageous to blame the deceased Ceausescu for being too unyielding in the Tokes affair, these allegations seem plausible. Thus, it would appear that because Nicolae Ceausescu was skittish of further damaging Romania’s already deteriorating relations with the international community, and the Tokes case was a high-profile one, he refrained from approving visible, definitive action against the pastor. 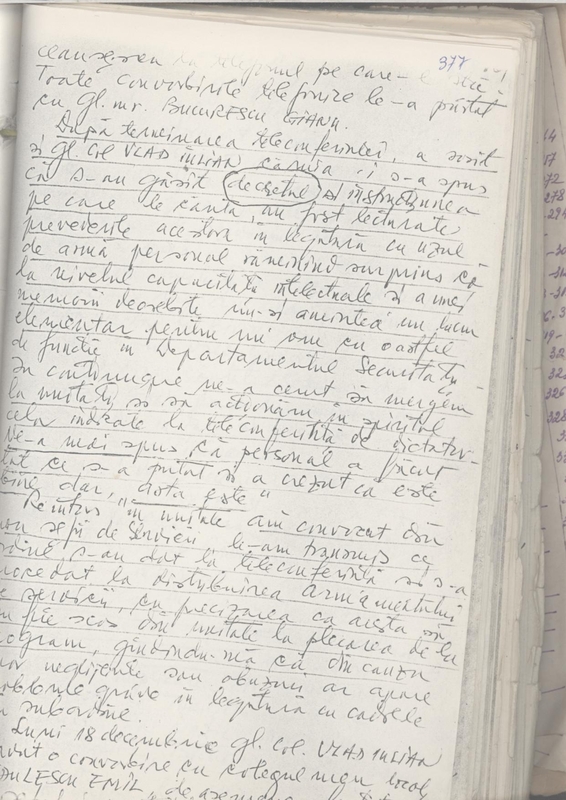 The Securitate‘s attempt to goad Ceausescu to bolder action would appear to confirm Ghita Ionescu’s suggestion that where the security apparatus comes to dominate regime affairs it attempts to impose its institutional prerogatives upon political superiors. Ceausescu and the Securitate appear then to have had sometimes conflicting views over how to resolve the Tokes affair in the quickest and most efficient fashion. 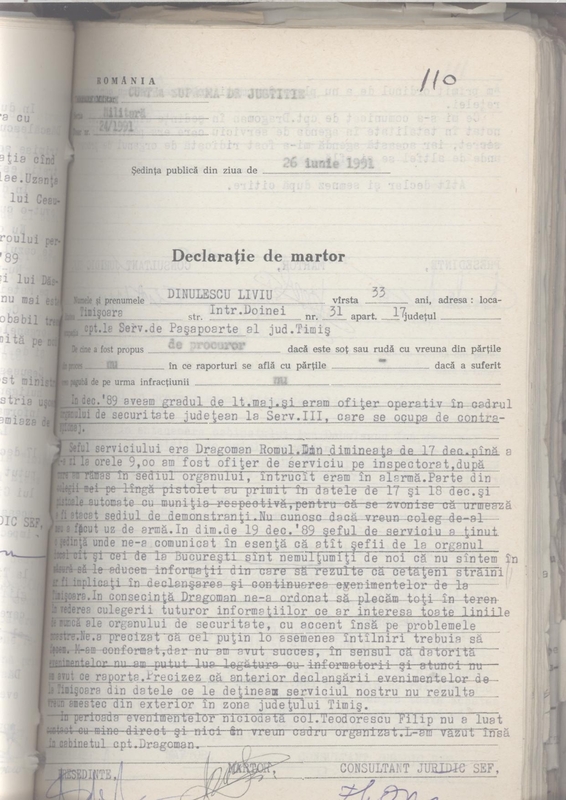 By December 1989, a huge group of Securitate officers were working on the Tokes case: the entire branch of the First Directorate for Timis county, the special division charged with combatting Hungarian espionage, high-ranking members of the First Directorate and Independent Service “D” (responsible for disinformation) from Bucharest, and members of the division charged with “Surveillance and Investigation.” Puspoki describes Timisoara at this late hour as follows: Day and night, the telex machines on the top floor of the [County Militia] “Inspectorate” incessantly banged out communications, while the telephones never stopped ringing. Minister Postelnicu yelled on the phone, Colonel Sima yelled through the offices and the hallways. The officers ran, as if out of their minds, after information, besieged neighbors of the pastor, and dispatched in his direction–what they call–”informers with possibilities.” Yet the case lingered on. 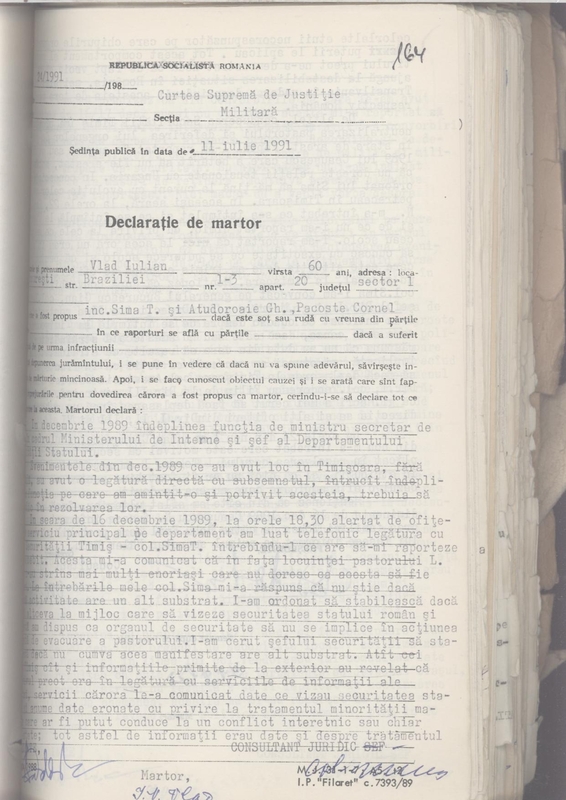 On Sunday, 10 December 1989, Pastor Tokes announced to his congregation that he had received a rejection of his most recent appeal: the regime would make good on its threat to evict him on Friday, 15 December. He termed this an “illegal act” and suggested that the authorities would probably use force since he would not go willingly. He appealed for people to come and attend as “peaceful witnesses.” They came. Richard, a few clarifications are in order. 1. There is no reason to be coy, Romanian public television openly acknowledges that Mostenirea Clandestina (The Clandestine Legacy) is based on my work, particularly the books With Friends Like These: The Soviet Bloc’s Clandestine War Against Romania (2010) and Extorting Peace: Romania and the End of the Cold War (2013). That said, I neither produce nor direct the series and I do not agree with everything said by others interviewed for the program, nor for all their interpretations of my work. I view these differences as a natural part of a debate that eventually may bring more clarity to the topic. 2. You refer to my “claims” or “claim” but you do not explicitly state them. This creates the false impression that, if not similar to those of others who invoke my name, they at least concern the events in Timisoara. 3. I have in fact three citations regarding the tourists (2 in ft. 90 and 1 in ft. 93) in With Friends Like These (and none at all in Extorting Peace). 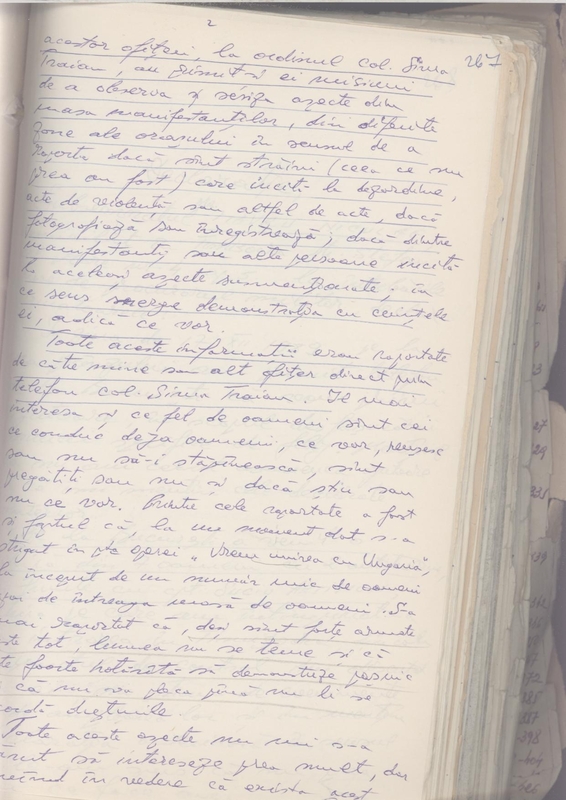 The first refers to documents reproduced by the Cold War International History Project that highlight Ceausescu’s preoccupation with Soviet visitors. 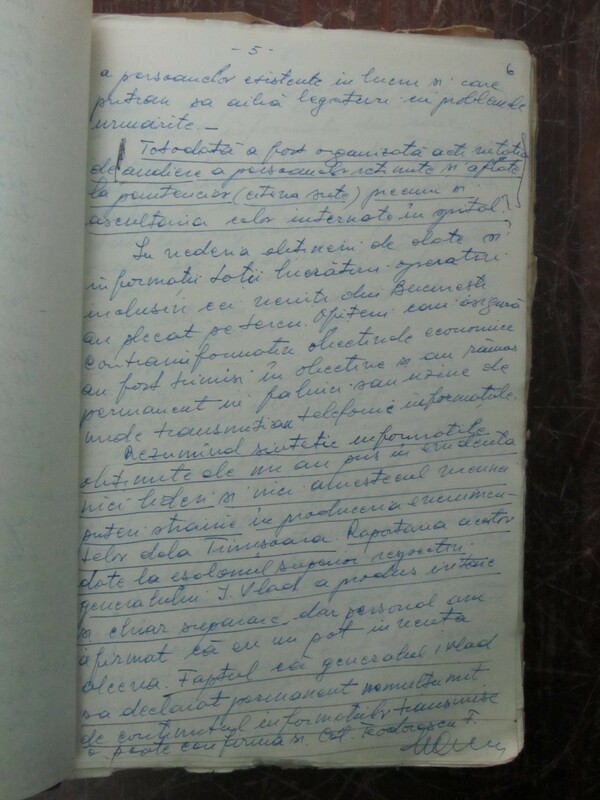 The second, which you note, cites testimony given by Petre Roman under oath to the Romanian Senate. An official Senate Investigation involving both government and opposition parties is normally considered to be authoritative. Your point that Roman’s testimony and the Senate’s investigation are both problematic is well taken and, in part, shared. But unless and until a more authoritative source is produced the Senate report will retain its authority no matter what its faults. 5. 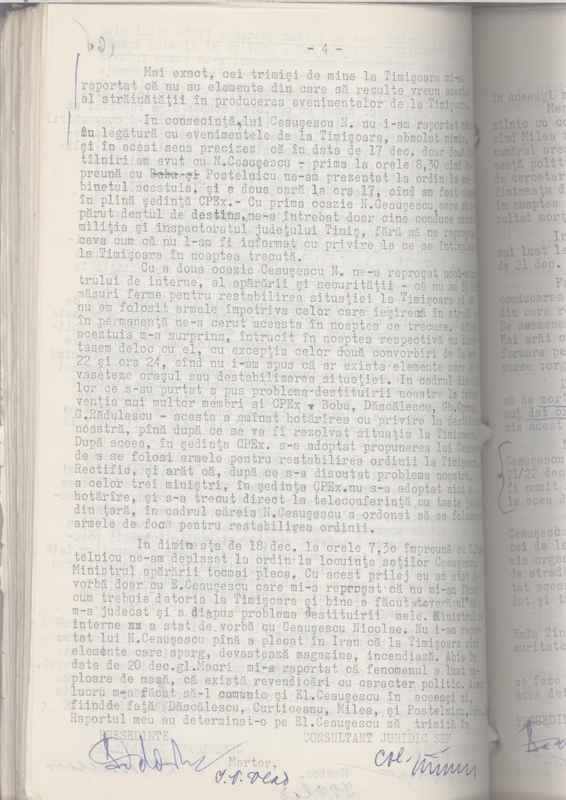 You neglect to mention my third citation, two paragraphs later (and ft. 93), of the former Soviet journalist in Romania during the revolution who justifies the presence of an extra “35,000” Soviet tourists as the result of a hastily-concluded 1989 economic agreement with Ceausescu – and describes their decision to travel in the month of December as coincidental. 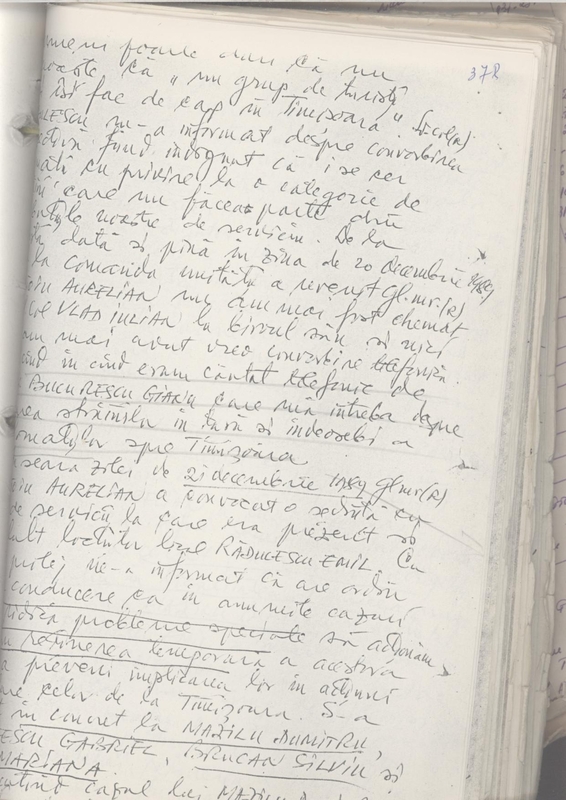 Interview of Viacheslav Samoskin by Oana Balan, “Reporter rus sub gloanţe româneşti” [A Russian Reporter Under Romanian Bullets], Adevărul, 23 December 2009. 7. In any case, the primary source documents you have cited invalidate neither of my claims. 1. 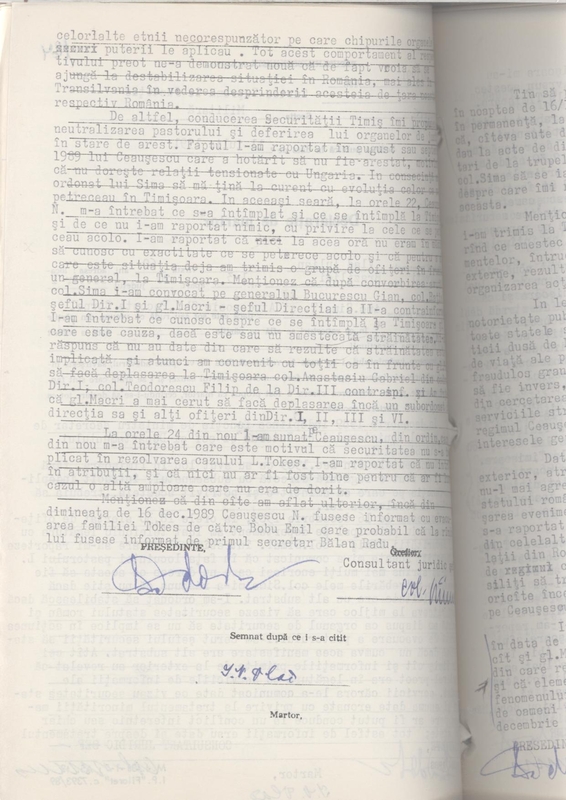 On the contrary, the declarations immediately after December 1989 by senior Securitate and associated officials dispatched to Timisoara and directed precisely by Securitate Director Iulian Vlad to find evidence of foreign involvement in the Timisoara uprising–and including the declarations of Emil Macri, Filip Teodorescu, Nicolae Mavru (as well as Liviu Dinulescu, Petre Pele, and Gheorghe Diaconescu)–infirm the argument that Soviet tourists played any role in the Timisoara uprising. 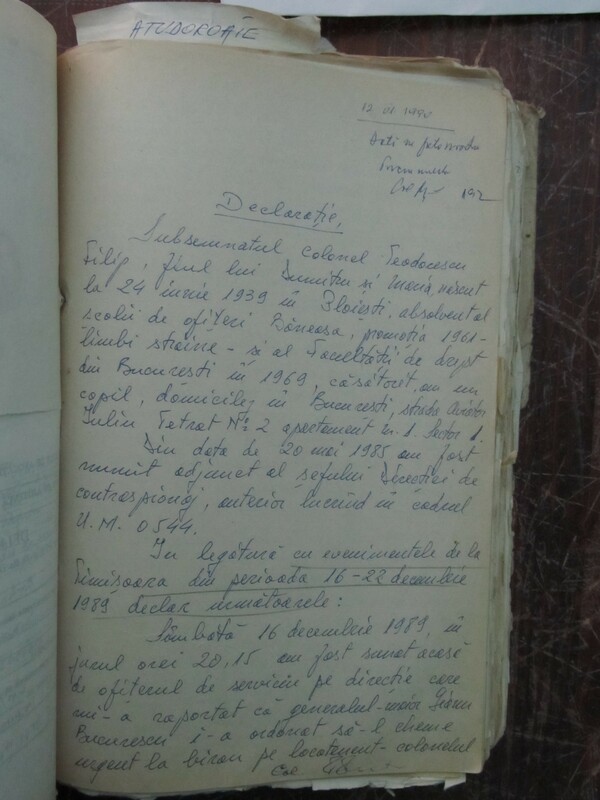 In addition to their claims that they could find no such presence and role played by Soviet tourists, not a single Soviet tourist was arrested in Timisoara prior to or after 22 December according to available records. 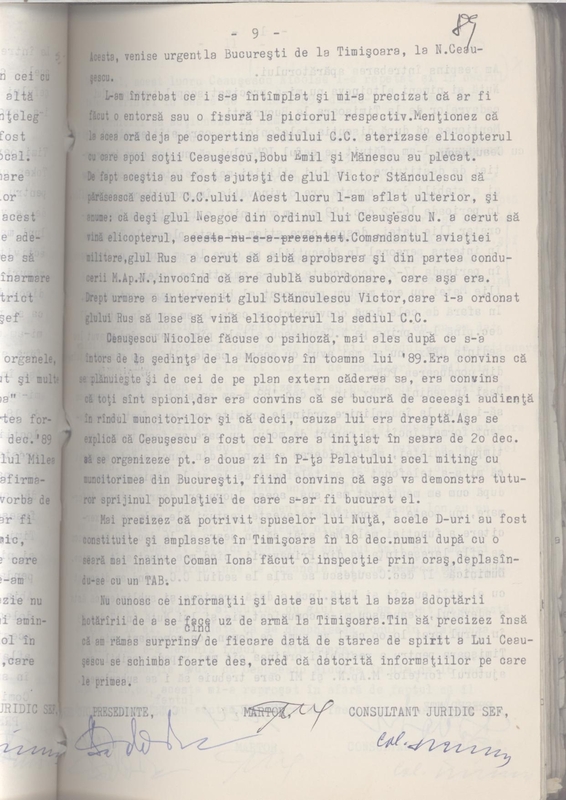 The only way to get around such evidence is to argue that 1) these officials were coerced into writing false confessions or these are forgeries; 2) they weren’t coerced, but chose to leave out these details; and/or 3) the Soviet tourists, their entry into the country, and their involvement in Timisoara somehow escaped monitoring and notice by all these officials. None of these is terribly plausible. At a tactical level, the crown jewel of Securitate disinformation–their responsibility for instigating/inflaming the Timisoara uprising–lacks a critical evidentiary basis. 2. 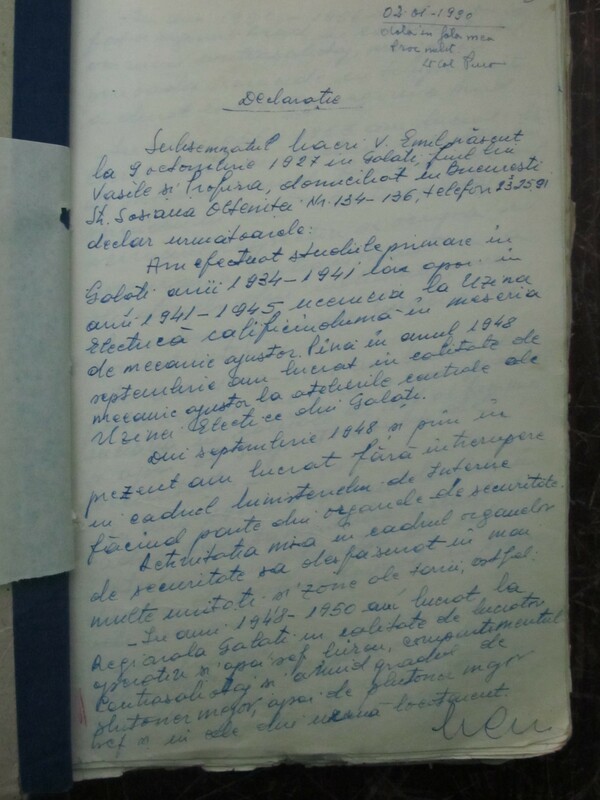 Any suggestion of a tactical role for Soviet tourists in the uprising prior to 22 December is also undermined by the now public, final informational report by Iulian Vlad and the Securitate to Nicolae Ceausescu, found here https://romanianrevolutionofdecember1989.com/ultimul-raport-al-securitatii-catre-nicolae-ceausescu/ . While discussing the Timisoara turmoil and already knowing of Ceausescu’s appetite to hear that foreign agents posing as foreign tourists were behind the uprising, the Securitate makes no mention of Soviet tourists. Once again, the options are limited to explain why this would have been if Soviet tourists had actually been behind the uprising. 3. In one of your comments you note that Cristian Troncota’s background is not news in Romania. Please show me the articles or videoclips where when interviewed about December 1989, you or anyone else mentions Troncota’s Securitate background. Troncota’s past is only relevant in this context in that his arguments mirror the claims of other former Securitate personnel–many directly involved in the repression of December 1989–who seek to whitewash the Securitate’s responsibility for bloodshed in December 1989. To the extent, he was associated with the Securitate pre-1989, his claims mirror those of other Securitate officers and whitewash the Securitate’s responsibility, his Securitate past is relevant. 4. I realize that in your previous books, December 1989 was not the subject of your research. To the extent I missed any references to your claims regarding Soviet tourists it was hardly intentional but because they were buried in footnotes and not found in the index. Because your next book will be about December 1989, I would ask you to ask your publisher to ensure that the index contains all such pertinent references. ria a cazut,… dar in Romania ? MG: peste 2 saptamani vom avea altfel de vesti din Romania. Deci 3 + 14 = 17 = Timisoara. Cred ca sant mii de video cu acel moment TV. Faceti rost de o copie (de la CBS sau de la altii). Interesant ca la 19:00 s-a dat dar nu si la 23:00 cind am inregistrat eu; doar aceste secunde nu s-au repetat din stirile serii.